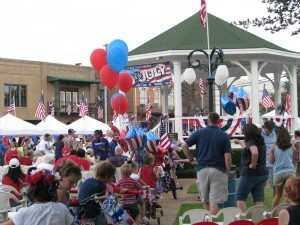 The “Big Show” begins at 5pm downtown at the Otstott Park gazebo. The fun begins with a Children’s trike/bike parade including Uncle Sam himself and maybe even a few people dressed in historic summertime clothing strolling around. This event is where you’ll find the Boy Scouts selling Hot dogs and Ice cream and drinks to keep you cool. The homemade ice-cream contest is a real treat because after the judging you get a chance to taste all the entries. Or you might like to bid on a cake or pie made by your favorite cook during the auction. 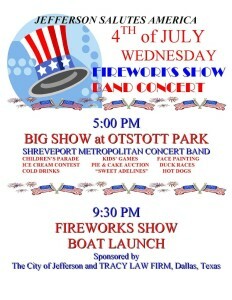 Again this year Patriotic music performed by Shreveport Metropolitan Concert Band and other performers. Oh, don’t forget to pick out a Rubber Ducky for the race that begins just before dusk. I don’t know what the cash prize will be this year but I’m sure it will be worth getting that duck in the race. 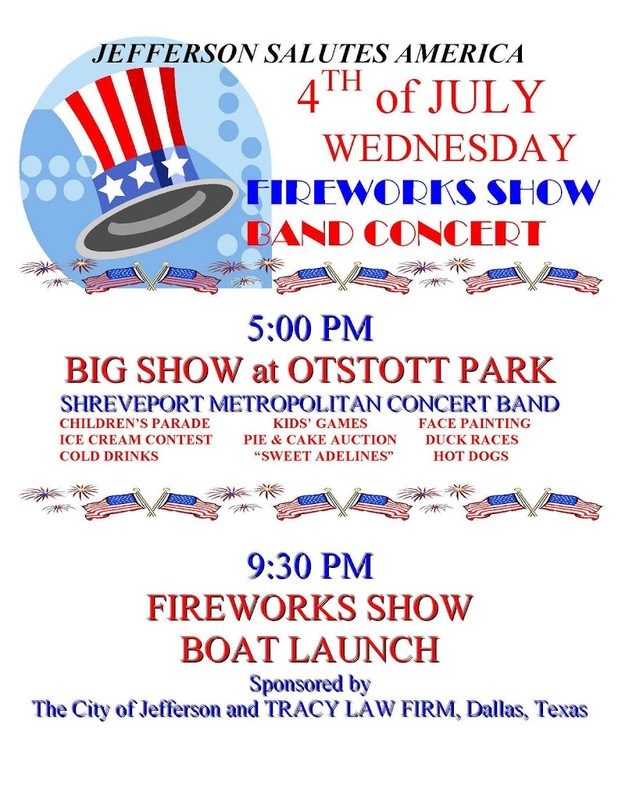 At the end of the evening everyone walks down the street to the boat launch area by the bridge to watch the conclusion of the festivities at 9:30 PM with a Fireworks finale over the Big Cypress Bayou. Please don’t miss your chance to enjoy this fun filled day, book your Jefferson lodging early as rooms are filling up fast. This entry was posted in Holidays, Summer Events by Tammy D. Bookmark the permalink.